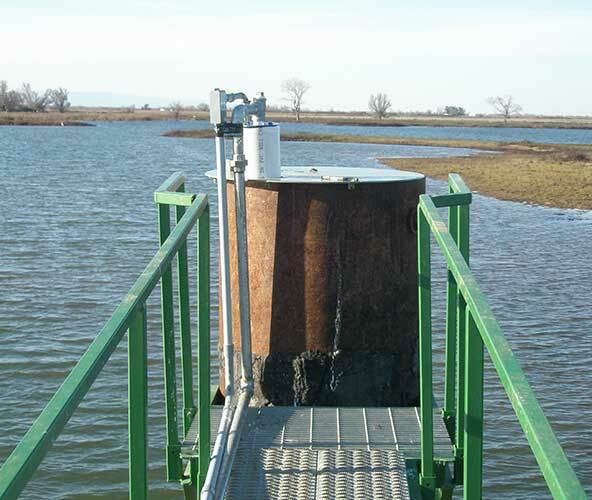 This project was a combined effort between Ducks Unlimited, the California Deptartment of Fish & Game, and the grazing tenant to establish livestock water sources away from newly constructed wetland habitat(s). 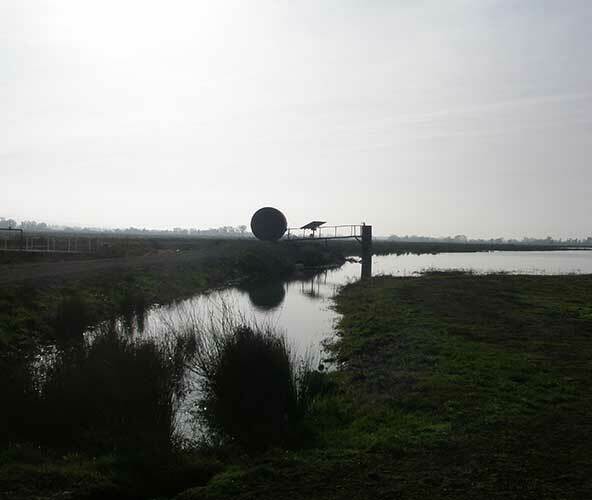 With additional sources of water installed away from the ponds, impact to the banks from livestock was reduced. Another contractor was hired to build several wetland ponds with which water levels could be controlled at various times of the year to provide additional habitat to waterfowl. Without alternative water sources these ponds would be the only water source for livestock that were grazing & maintaining the surrounding uplands. The contractor build a sump and installed a 3’ diameter galvanized culvert pipe (vertically) from which the solar pump was installed within. The solar array & pump controller was located within 100’. Water pumps from the sump and into a 5000gal water storage tank that will gravity feed water to two troughs located several hundred feet away from the ponds. "We were introduced to Freitas Rangeland Improvements while partnering with Ducks Unlimited on some extensive pond construction projects. Our goal wasn't to exclude cattle from grazing and watering near the newly constructed waterfowl ponds but to simply decrease pressure on the banks of these ponds. Using the pond water as a source and solar-powered water pumping services provided by Freitas Rangeland Improvements, we were able to store water in a 5,000-gallon tank and then distribute the water into two separate fields. Jed designed the system to pump about 4,000 gallons/day during the winter months."